Fixed knot fence, the extremely strong field fence, is formed by introducing solid separate wires to tie continuous vertical and horizontal wires together. 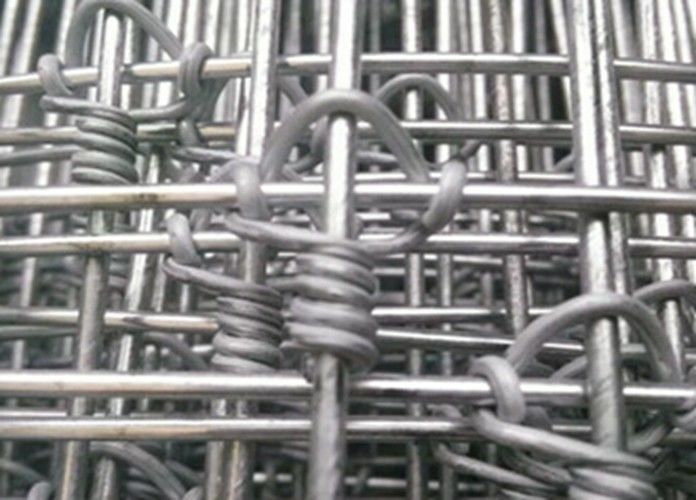 Fixed knots effectively increase the holding strength of woven wires, lock wires in place firmly and avoid animals pushing vertical wires apart even giving rise to a hole on the fence when comparing with traditional hinge joint fence. 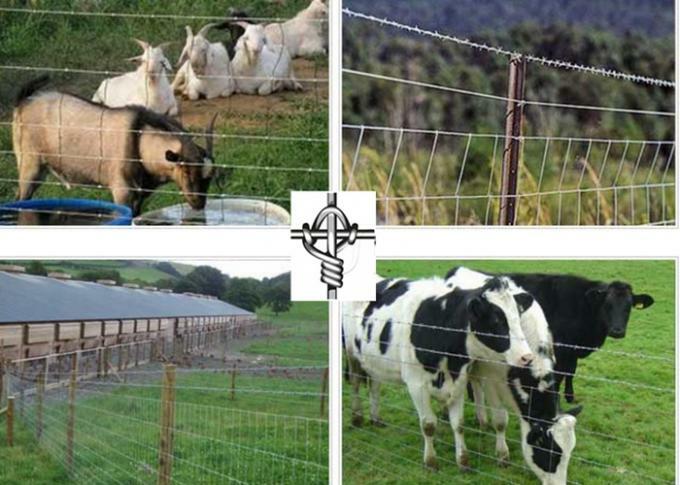 Fixed knot fence, also called deer fence, farm fence, cattle fence, house fence, steel deer fence, grassland fence, sheep and goat fence, ranch fences and buckle typy metal fences for grassland. Deer fence can take the pressure and then spring back into shape. Material: high tensile strength mild steel wire with galvanized treatment surface. FKF-1 23 12.5 10.5 3", 6" or 12" 120"
FKF-2 20 12.5 10.5 3", 6" or 12" 96"
FKF-3 17 12.5 10.5 3", 6" or 12" 75"
FKF-4 15 12.5 10.5 3", 6" or 12" 61"
FKF-5 13 12.5 10.5 3", 6" or 12" 74"
(2)Packaged by Wooden or metal pallets , easy shipping, beautiful packaging costs will increase accordingly. Fixed knot woven fence is also known as solid lock fence,cross lock fence, which is mainly used as field fence or grassland fence and farm fencing to protect cattle, deer, horse, cow, sheep, goats and hogs and so on. This type of fixed knot field fence has stronge construction, to protect your investment with most reliable confinement. Fixed knot fence is most commonly found in deer and wildlife fences, but it is being used in more common farm and field fence styles,too.